Hit 4 Exactas on Belmont’s loaded Saturday card to win your share of 1 Million Rewards Points! The October 6 card includes the G1 Champagne, G1 Beldame, the G2 Hill Prince and Belmont Turf Sprint Invitational. Hit Exactas ($2 base minimum) on four different races at Belmont that day to Split 1 Million XB Rewards Points. Don’t miss this packed day of races, with the Champagne as a Breeders’ Cup Win and You’re In race for the Juvenile, the Beldame as an important prep race for the Breeders’ Cup Distaff and the Belmont Turf Sprint a key prep for the Turf Sprint. 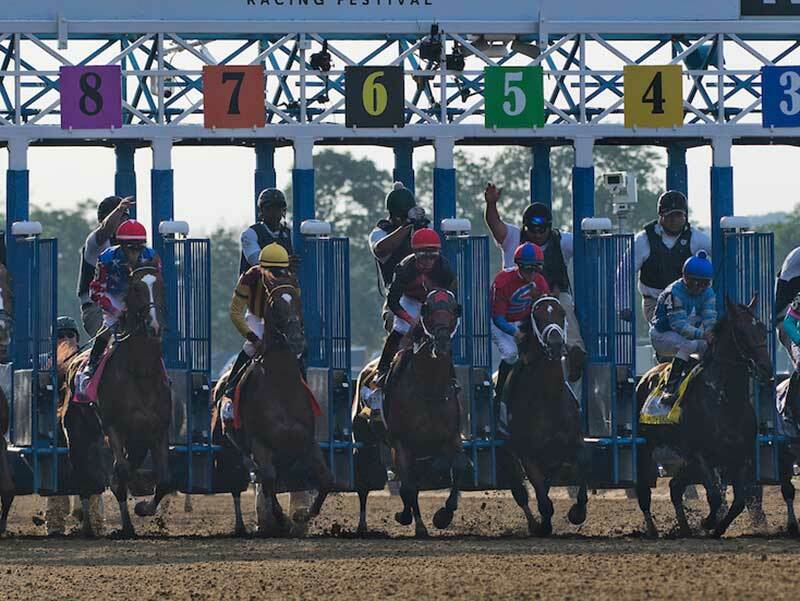 Make winning bets on 4 Exactas at Belmont Park on Saturday, October 6, 2018, to Split 1 Million XB Rewards Points. Points are evenly distributed among all players who placed a winning wager with Xpressbet. Points will be deposited into winners’ accounts by 5:00PM ET on Tuesday, October 9. Offer valid Saturday, October 6, 2018. Customers must register for Contest to be eligible. There is no fee to register. Contest wager is an Exacta with a $2 minimum base. Customers must hit a contest wager on four races to win a share of 1 Million Points Prize. Exactas with a base wager larger than $2 are eligible for promotion. Wagers that are refunded or canceled do not count toward this promotion. Bonus Points will be deposited into winners’ accounts by 5:00PM ET on Tuesday, October 9. Participants must have an account in good standing to qualify for the promotion. Only wagers made with a articipants Xpressbet account are eligible.